The Lime Green Goniopora is a new strain of Goniopora we have been culturing for a few years. 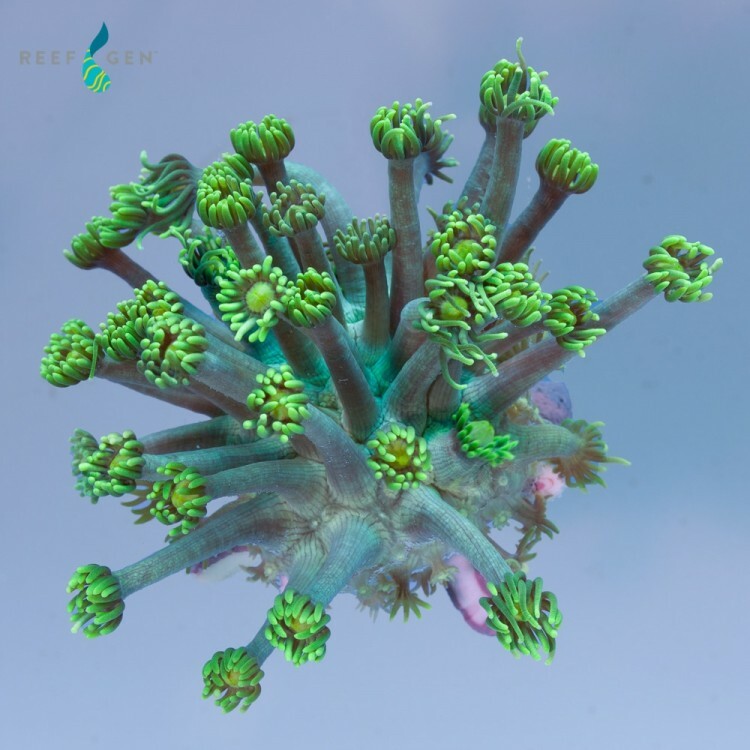 Give the frag some space and it will reward you with big, fluffy, bright green tenticles and yellow/green eyes. A truelly gorgeous piece.